Fein Law Office is a full-service law firm located on the South Shore representing individuals and businesses across Massachusetts in a wide range of legal matters. Christopher J. Fein has more than 10 years of experience that can benefit you. He addresses your legal issues with exceptional service, quality and integrity. His satisfied clients include a diverse range of companies, institutions, investors, developers, individuals and families in Norfolk County and surrounding areas. From start to finish of the legal process, you will work directly with attorney Christopher J. Fein. You always receive honest answers to your questions, comfort for your concerns and assurance that your important legal matter is being handled with poise and professionalism. If you or your company need representation in court or legal advice, whether you are a first-time homebuyer or if your prior attorney has made a mistake that cost you money or an opportunity, contact Fein Law. 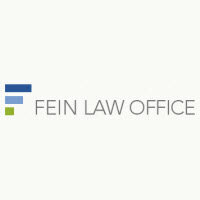 Christopher J. Fein is a lawyer who gets results for people and businesses that need help. Experienced lawyer Christopher J. Fein and Fein Law Office in Braintree, Massachusetts, offer exceptional service, quality and integrity in civil and commercial litigation for South Shore clients. Whatever your issue or goal, the attorney who advises you should be versatile, skilled and experienced in real estate law Customizing his services to suit your unique needs. Mr. Fein knows the estate planning tools that can ensure your loved ones' future financial security. He knows how to coordinate efforts with beneficiaries, executors and trustees. If a Massachusetts attorney made a serious mistake that cost you money or an opportunity in the U.S. or abroad, you should consider filing a professional malpractice lawsuit. Braintree bankruptcy lawyer Christopher J. Fein can explain Chapter 7 and Chapter 13 strategies that give your family and company the "fresh start" and breathing room you need for true debt relief.